It is important to begin a discussion on the issue of “recognition” by clarifying that the Abbey-Principality of San Luigi has neither sought recognition of its sovereign status from other entities nor has any need of the same. This is in full accordance with international law, and specifically with Article 3 of the Montevideo Convention 1933, which states “The political existence of the state is independent of recognition by the other states.” Article 1 of the same Convention establishes that a state is defined as a person in international law if it meets the following criteria: 1) a defined territory; 2) a permanent population; 3) a government and 4) a capacity to enter into relations with other states. The Abbey-Principality meets these criteria both in respect of its period of effective sovereignty from 1883-84 and in its present situation as a government-in-exile. The Montevideo Convention is the most recently codified instrument of international law that defines a theory of statehood (described as the declarative theory), although the terms of the alternative constitutive theory of statehood are also fulfilled by the Abbey-Principality. This matter is discussed further here. Notwithstanding this, the Abbey-Principality has obtained significant recognition from both states and Royal Houses over the years. It should be remembered that Royal Houses customarily regard the act of acceptance of foreign chivalric orders as a form of de facto diplomatic recognition. Furthermore, there have been several specific instruments of relevance to these matters which will be detailed below. The Abbey-Principality was first recognized by the Bunyoro-Kitara Kingdom in 1885, that kingdom being at that time a sovereign state and absolute monarchy under H.M. Omukama Chwa II Kabalega. 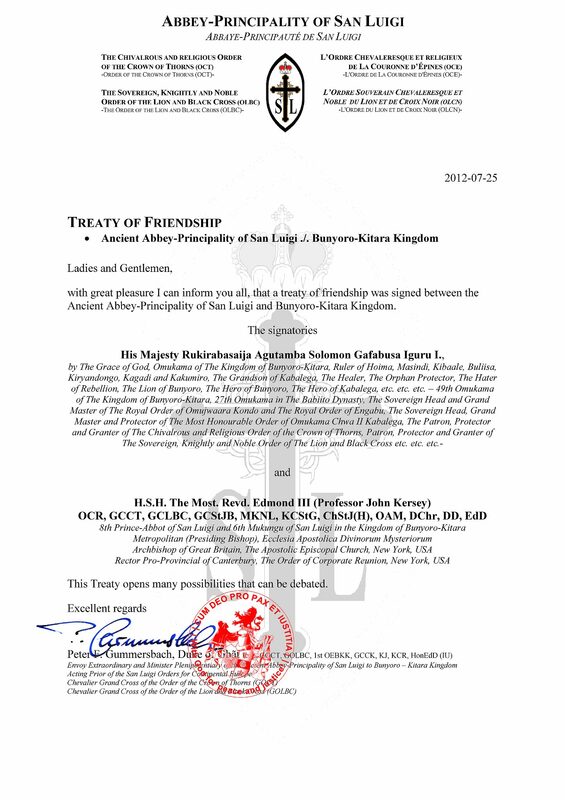 The means of recognition was both in the granting of land for the re-establishment of the Abbey-Principality and in the grant of the Bunyoro-Kitara title of Mukungu of the Ancient Abbey-Principality of San Luigi (Fizzan) to the then-Prince Abbot. The title of Mukungu was recognized during the colonial era by the British government in the Bunyoro Agreement 1933 (sections 13, 15) and again in the Bunyoro Agreement 1955 (sections 19, 20). 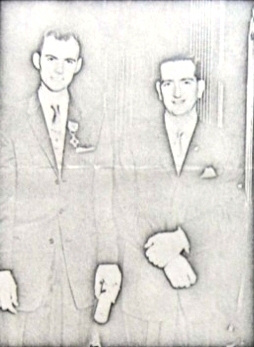 A further important recognition for the Abbey-Principality was from the Royal Government of Yugoslavia in exile, under the late King Peter II (pictured right with Prince-Abbot Edmond II of San Luigi). In 1959, King Peter accepted the Grand Cross of the Order of the Crown of Thorns and, in the following year, the High Protectorship of that Order. The High Protectorship has been left vacant since the death of King Peter in 1970 in memory of his service in support of our cause. 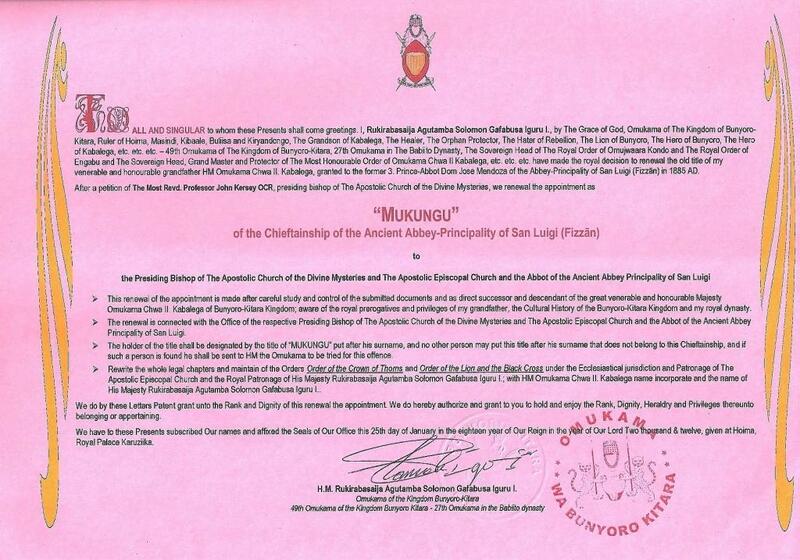 On 22 March 1962, desiring to bestow additional recognition upon Prince-Abbot Edmond II of San Luigi, the King issued Letters Patent to him. 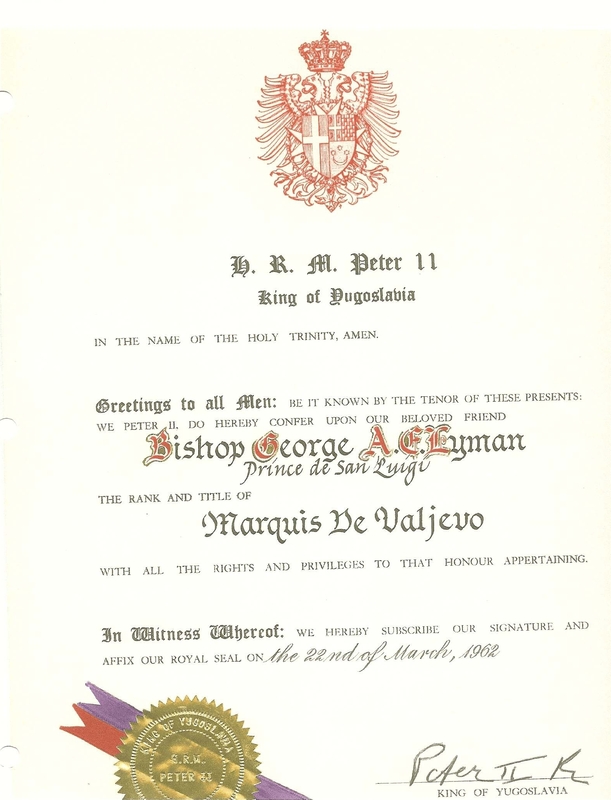 These Letters Patent do three things; they bestow the Royal Yugoslav title of Marquis de Valjevo upon the Prince-Abbot, they recognize him as Prince de San Luigi, and they recognise him as a bishop. The second point is of greatest importance here, since such recognition is in fact a common practice among European sovereigns in respect of titles which, although undoubtedly genuine, have an origin that is obscure or unconventional in nature, and is most commonly seen in respect of titles with a feudal origin. Such an act provides evidence that the King recognised the importance and legitimacy of the Prince de San Luigi. The significance of the 1962 recognition and the 1960 High Protectorship is to render moot any debate on historical matters concerning the nineteenth-century foundation of San Luigi and of the San Luigi Orders, since the African title of Prince de San Luigi had thereby acquired the official recognition of an European sovereign and fons honorum who had also extended his protection to the Order of the Crown of Thorns. 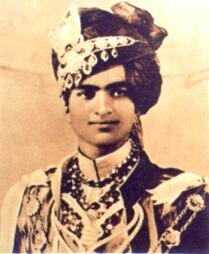 The position regarding the recognition of the Prince de San Luigi is analogous to the recognition by the colonial European powers of indigenous titles of nobility within Africa and Asia. Such recognition cannot by its nature create sovereignty, but it is well-established that it is a means of recognizing existing sovereignty. In receiving the Grand Cross of the Order of the Crown of Thorns, King Peter had already indicated his acceptance of that Order as it was then constituted under the sovereignty of the Prince-Abbot of San Luigi as Prince Grand Master. The sovereign and legal right of King Peter II to recognize and bestow titles of nobility, and to give protection to Orders of Chivalry, has never been seriously challenged. It is beyond dispute that King Peter did not abdicate and retained the jus honorum during his period in exile. See, for further discussion of these points, Stephen P. Kerr y Baca, “King and Constitution in International Law” in Chivalry, IV:1, No. 13 (reprint from The Augustan, 1977), Forest E. Barber (sometime member of the Order of the Crown of Thorns) “The Case of the Petrine Peerage” in Chivalry IV:1, no. 13, 2001, and Sir Rodney Hartwell, “Some Notes for Supporters of His late Majesty King Peter II” in International Chivalric Institute Members’ Newsletter, no. 30, pp. 453-4, 2001. Indeed, King Peter also extended his Protection to the Sovereign Order of St John and the Sovereign Military Order of the Temple of Jerusalem, then based in America, and on several occasions rehabilitated non-Yugoslav titles for the benefit of foreigners. When the critic Colonel Robert Gayre of Gayre and Nigg made representations to the legal adviser of the King in protest against the King’s actions, he was informed that, from a Yugoslav point of view, what the King did in these matters was legal, no matter how much outsiders disliked it. (Gayre, The Knightly Twilight, p. 62, 1973). Similar ineffective protests greeted the King’s decision to create a number of Royal Yugoslav Knights Bachelor, both ad vitam and hereditary, of whom one of the last surviving knights was the adoptive father of the present Prince-Abbot of San Luigi. We shall return to these points subsequently, but our position remains (as it ever was) one of steadfast defence of King Peter and his rights. During the 1930s, Prince-Abbot Edmond I of San Luigi received extensive recognition from the Head of the Russian Imperial House, Grand Duke Cyril Vladimirovitch, who from 1924 onwards was styled Emperor and Autocrat of All the Russias. Grand Duke Cyril was appointed a Grand Cross of the Order of the Crown of Thorns. From Grand Duke Cyril, Prince-Abbot Edmond I received the Cross of the Imperial Russian Order of St Stanislas, Commandeur with Plaque (“for foreigners”) on 22 February 1922, and was promoted to Grand Croix in the First Class in the same Order in 1936 by Grand Duke Cyril as its dynastic head. Also in 1936, he was admitted to the Association Patriotique Russe au nom de l’Empereur Nicholas II, initially in the Section Generale and then in the Section Armes Imperiale. In the previous year, he was admitted with the consent of Grand Duke Cyril to the Order of St Vladimir, under the high protection of King Alexander I of Yugoslavia, as Commandeur avec plaque, with the supreme sanction, on the ribbon of Romanoff of the first class. This appointment also bestowed hereditary nobility. 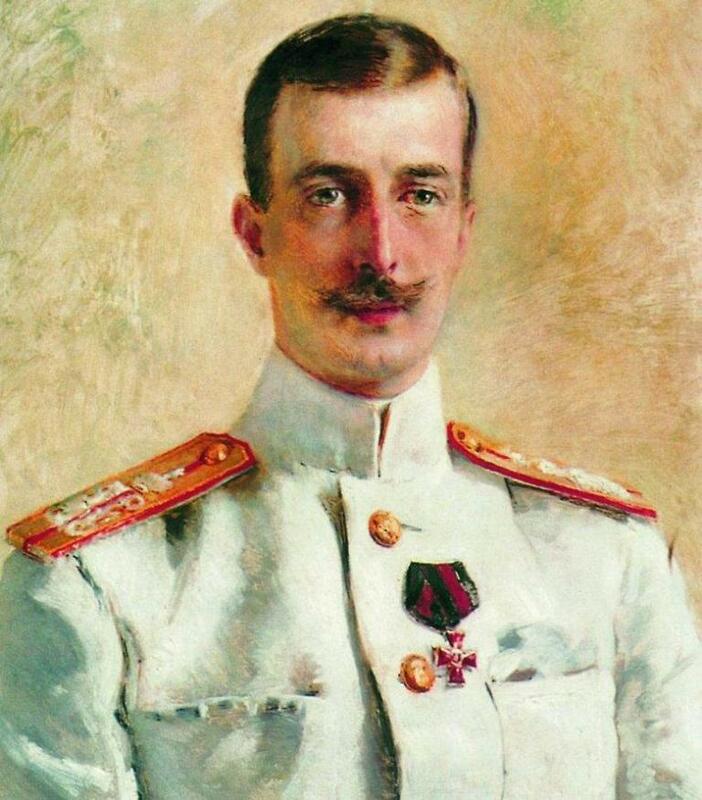 In 1936, the Russian Veterans Society of the World War bestowed upon Prince-Abbot Edmond I the Hereditary Knighthood with Cross of the Order of the Compassionate Heart, and he was granted the Medal “pour zele et assistance” on ribbon of the Order of St Andrew, First Class, in gold, by order of Grand Duke Cyril. These recognitions suffice to demonstrate amply that the Russian Imperial House of Romanoff extended its recognition both to Prince-Abbot Edmond I and to the Order of the Crown of Thorns which was accepted by its Head. These facts alone would be more than sufficient to conclude the case as to recognition, but there is still more to recount. Those who have extended their recognition by graciously becoming Royal Patrons and High Protectors of the San Luigi Orders include the Maharaja of Jaipur (pictured right), the present Emperor of Japan (Crown Prince at the time of appointment in 1960) and the late Prince Louis Ferdinand of Prussia. The roll of membership of the San Luigi Orders includes Emperor Haile Selassie of Ethiopia, King Frederik IX of Denmark, King Haakon VII and Queen Maud of Norway, the Kings of Greece and Bulgaria, Prince Franz Josef II of Liechtenstein, the Duke of Mecklenburg, and Crown Prince Wilhelm of Prussia. There are few other chivalric bodies of comparatively recent foundation who can claim a membership of such prestige, and it is unsurprising that, as a result, the Abbey-Principality is occasionally the recipient of ill-founded attacks and spite from envious inferiors. The need to keep this article to a manageable length precludes the listing of the many civil recognitions accorded to the Abbey-Principality in numerous countries, and by chivalric, heraldic and aristocratic societies of various kinds, and likewise we cannot here enter upon the extensive series of recognitions that has been extended to it within the Church. We will mention just one further point; that the British government of India consented to the promulgation of the San Luigi Orders and to the wearing of their insignia there, a permission that was only ever granted to legitimate Orders. It remains for us to clarify the position of the San Luigi Orders regarding the Holy See. The San Luigi Orders have always been completely independent of the Vatican and have never at any time been under Papal control, being founded entirely autonomously. Moreover, the Abbey-Principality has at no time recognized that the Vatican possesses any power whatsoever over its affairs. The position of the Vatican, as most recently stated in 2012, is that it only recognizes those Orders of which the Pope is the head and no others. It will be patently clear that this means that almost every chivalric Order in existence today, including the most illustrious and historic, is not officially recognized by the Vatican. This, however, has not prevented some close links over the years between the Roman Catholic Church and the San Luigi Orders. During the 1930s, Charles, Duc d’Allery de Bourbon, a member of the Camerier Secret of the Vatican as also of the Order of the Crown of Thorns, afforded Prince-Abbot Edmond I assistance in his relations with the Vatican, which at that time were characterized by hostility and misunderstanding, and as a result of these efforts, Prince-Abbot Edmond I was admitted an honorary member of the Pontificia Accademia Tiberina, which had been recognized by Pope Leo XII in 1825. This act affirmed that, although he was as an Old Catholic not subject to the Holy See, he was nevertheless highly regarded in Roman Catholic circles. In 2016, his successor Prince-Abbot Edmond III was admitted to the same academy as an honorary academician. Subsequently, several Roman Catholic clergy and members of Roman Catholic Royal Houses, including the Royal House of Spain, became members of the Order of the Crown of Thorns. During the 1960s, the Grand Prior of the San Luigi Orders for Sardinia was a Roman Catholic priest, Canon Giovanni Chessa, while the membership of the Order of the Crown of Thorns in Scotland included another Roman Catholic priest, the late Canon Jan Gruszka. These facts make it clear that at no time was there any form of effective prohibition of Roman Catholics from membership of the San Luigi Orders, nor was any form of disciplinary action pursued against those Roman Catholic clergy who became members. Any contrary statement is provably false. We will conclude by restating that recognition by others is in no way a necessity for the Abbey-Principality of San Luigi to be fully valid in international law. 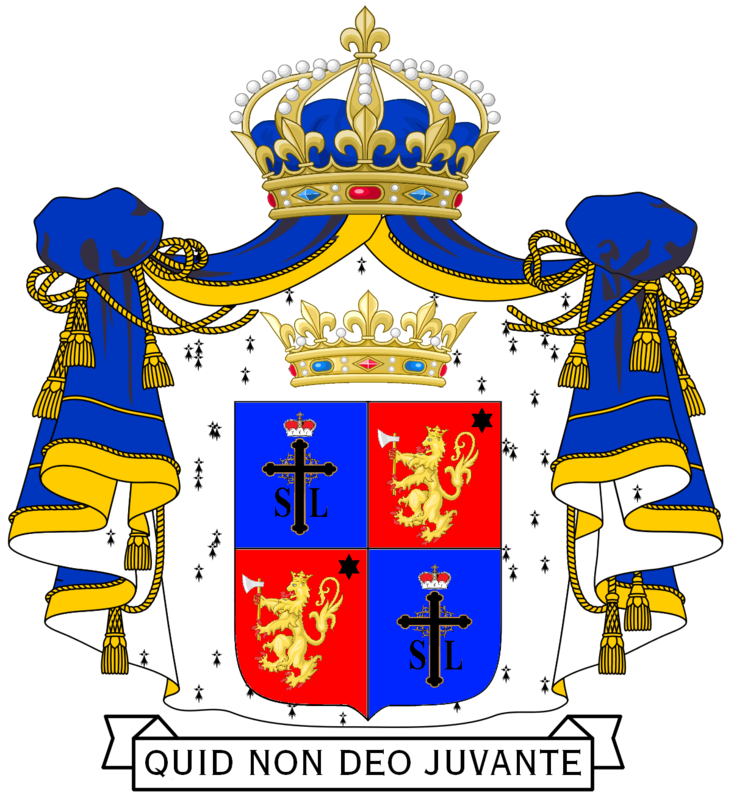 That being said, however, we have shown above that the Abbey-Principality and the San Luigi Orders possess such recognition in more than ample quality. This recognition comes from their peers; from historic kingdoms, from reigning sovereigns and from the heads of Royal Houses in exile. In nobiliary and chivalric matters, this is the only kind of recognition that is meaningful. The Abbey-Principality of San Luigi has noted with some wry amusement the emergence since the 1960s of various “international commissions” that concern themselves with nobility, royalty and chivalry, and notes some common factors in these bodies. Firstly, they are uniformly self-appointed organisations, not owing their impetus to any Royal House, but instead to members of various chivalric orders who wish to “protect their turf” from anyone who threatens their establishment (and sometimes their source of income). 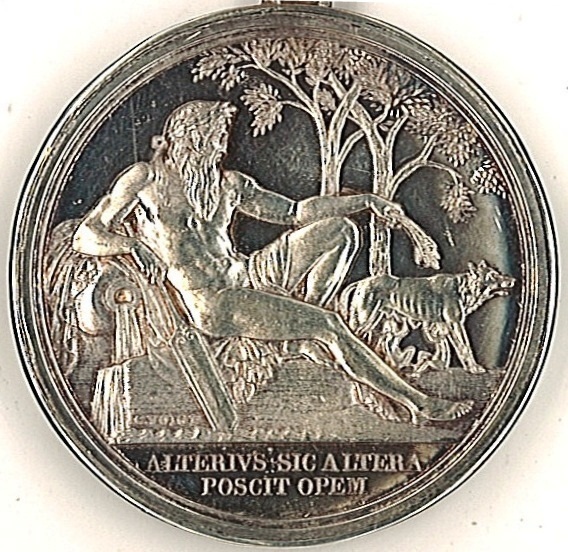 Secondly, these organisations have no standing whatsoever and no power in law, for all that they assign to themselves grandiose titles and ambitions (always, seemingly, claiming to be “international” in scope) and seek arrogantly to lecture sovereigns and Heads of Royal Houses on what, in their opinion, they should do. Of course, these entities may publish their opinions as they see fit, but the only standing those opinions will have is within their own circle of followers. Any claim to scholarly standing that is put forward by such entities is at once quashed by their usual insistence on anonymous authorship for their pronouncements, and the blatant bias of the material they produce, which is particularly evident in their attitude towards African chivalry. It is self-evident that no “commission” can be recognised by the Abbey-Principality as possessing any form of authority whatsoever. Indeed, history records that the most prominent of these commissions was, scarcely more than a decade ago, under the “presidency” of one of the most notorious nobiliary impostors of our time – which fact, we feel, fatally undermines its authority in judging issues of legitimacy. As Sir Forest Barber has stated, “An international body possessing no sovereign power can neither grant recognition nor deny recognition to an Order. It may make recommendations to its members, but that is all. Such an international organization is all too easily swayed by personalities to be considered reliable over a long period of time.” (Concerning the Validity and Recognition of Orders, in The Augustan, VIII, 2, 11, Feb. 1965, p. 18). It is also clear that, in respect of our own case, these entities are wholly uninterested in any form of true historical or legal enquiry and simply seek to attack us in an unbalanced and often intemperate manner that is likely to render them open to action at law. Doubtless their behaviour is strongly influenced by the fact that we have consistently, over some fifty years now, stood up to their bullying and cant and recognized them for exactly what they are: paper tigers comprised of self-appointed “experts” whose “recognition” is legally and in every other sense meaningless. So far as we are concerned, then, that is our position on the issue of “recognition”, and we trust that it will be plain to the reader that it is one that is eminently well-founded in the facts to hand as well as the fruit of many years of experience in this field.